After months of planning and organisation, led by one of their members, Cyril Trust, local charity The Hedgehogs presented ‘Choirs are Us’ at Farnham Maltings at the end of November. The 3 local choirs provided an uplifting evening of entertainment to raise money for students at The Abbey and for Bells Piece, the local Leonard Cheshire Disability care home. The proceeds of the event were a staggering £3,000 which was split equally between the 2 beneficiaries. 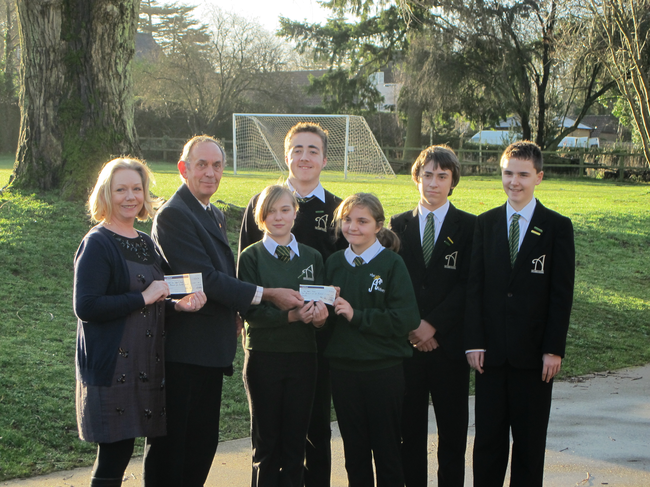 Roger Hobbs, representing the Hedgehogs, handed over the cheques during a special presentation ceremony here at the school. It was a splendid event and we are very grateful to all the performers and to the organisers who between them have raised such an impressive sum to help our students.